Founded in 2009 by Andrzej Kosendiak – Director of the Witold Lutosławski National Forum of Music in Wrocław – the choir is ambitiously active in the artistic life and gives concerts with leading conductors and ensembles. 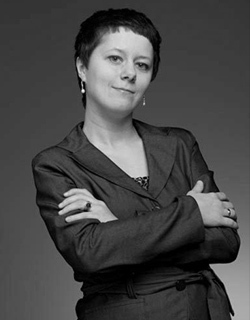 Małgorzata Podzielny is Artistic Director of the NFM Boys’ Choir. It is often invited to participate in prestigious events of the International Festival Wratislavia Cantans (recently it ap¬peared under Sir John Eliot Gardiner) or the Leo Festival. It has also performed in Austria, the Czech Republic, Slovakia, and Japan. Apart from their regular rehearsals and concerts, the young singers participate in workshops, several times a year, run by Polish and international experts. Since the onset of its activities the NFM Boys’ Choir engages in collaborations with the Wrocław Opera, the Polski Theatre, and the Wrocław Puppet Theatre. The ensemble’s discography includes also the album The Salzburg Marian Mass (2015) with the works by Mozart, and an album released by the NFM within the series Witold Lutosławski. Opera omnia (7th part of the cycle), with children’s songs by this composer (2018) – both albums were recorded under the direction of Andrzej Kosendiak.